Ate there today. I agree with your conclusion: good, not amazing. 1$/dumpling on average. Cash only, has an ATM, decent service. You were eating next to me there tonight. I ordered the steamed/boiled lamb with coriander. You were with a blonde female friend. I didn’t feel like disturbing you, so I’m saying hi this way. I’m really happy this place opened downtown, as it’s one bus away from where I live and much bigger than the one in Old Montreal. Now I have to try Kam Fung for dim sum. Next time please do say hi! 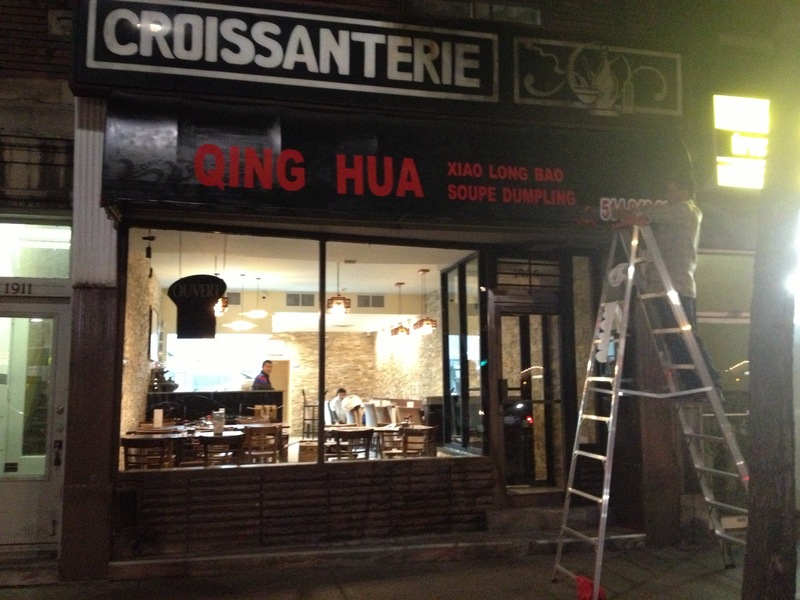 Actually we weren’t at Qing Hua, but a newly-opened competitor to it, by the name of Mai Xiang Yuan. Quite decent. Yes, it was at that one! So many dumpling places have opened on Ste-Catherine.